UPDATE: A SPECIAL CANDLELIGHT VIGIL HELD BY FAMILIES IMPACTED BY CHILDHOOD CANCER NEAR SSFL WILL TAKE PLACE PRIOR TO THE MEETING IN FRONT OF THE SIMI VALLEY CULTURAL ARTS CENTER FROM 6 – 6:30 P.M. Please attend a community meeting of the SSFL Work Group on March 8 to learn more about the Dept. of Energy’s (DOE) attempts to break its cleanup promises and what we can do to fight this threat to our health and that of our families. The meeting will also feature a presentation on pediatric cancers near SSFL and a new parents’ movement fighting for full SSFL cleanup. 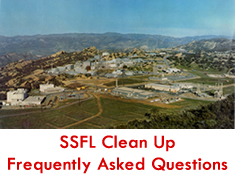 The DOE — responsible for decades of contamination at the Santa Susana Field Laboratory, including a partial nuclear meltdown — recently broke its legally binding commitment to clean up all of the nuclear and chemical contamination at SSFL, proposing instead to leave up to 99% of the contamination not cleaned up. If SSFL contamination is left behind, it can continue to migrate offsite and put nearby communities at risk of cancer and other illnesses. 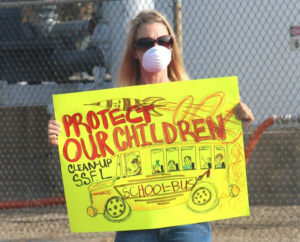 The SSFL Work Group was established over 25 years ago by local elected officials to serve as the primary vehicle for has served informing the community about the contamination at SSFL and issues associated with its cleanup. To learn more please visit www.ssflworkgroup.org. This entry is filed under SSFL Work Group.